This is the article I wrote for the Orlando Sentinel, published March 17, 2015. Link below. The Irish have a long history of immigration. We’ve been coming to the shores of America for hundreds of years now, and in 1993, when I was in my early 20s, I joined the slew. My father had encouraged me to leave my hometown of Cork and venture across the Atlantic, “to seize the power and opportunity of youth, and to be brave with my life,” as he put it. Neither of us truly wanted me to go, but opportunity was scarce in Ireland in those days, so I did what so many young people in Ireland did at that time, and left.Irish people, by virtue of a long history of both good cause and willingness to leave their native land, have an advantage over most other emigrant groups — the Irish pub, and the fact that there’s at least one in just about every city in the world. Downtown Orlando had three popular Irish pubs back then: Mulvaney’s, Kate O’Brien’s and Scruffy Murphy’s. I headed to Scruffy’s and left with my first American job. Working with other young Irish in Scruffy’s, while getting my bearings in Orlando, helped ease the transition. There were more cultural differences than I had expected. One, which had particular bearing on my new job, was the way Americans drank. In Ireland, drunkenness was somewhat of an annoying byproduct of drinking while talking. In America, people showed up and wanted shots. I couldn’t believe the amount of Jagermeister and Goldschlager that Scruffy’s burned through in a weekend. But that helped with the other American tradition I was growing fond of — tips. As March 17 drew near, the seasoned staff tried to prepare me for the fact that my first American St. Patrick’s Day would illustrate another big cultural difference. It was primarily a religious holiday in Ireland, and so my previous St. Patrick’s Days were sedate, mass-going affairs made different only by the bunch of shamrock pinned to my lapel. With that as past experience, the 12-hour onslaught of sweaty, green-clad, beer-swilling crush that I experienced in Scruffy’s on that first St Patrick’s Day was incomprehensible to me. With Irish music blasting, I balanced my heavy tray and pushed my way through the emerald throngs, white sneakers soaked green in a 2-inch lake of spilled beer, and I wondered if it would ever end. All the while, I marveled at the idea of so many Americans devoting an entire day to celebrating my little country, so far away. Of course, I did have a sneaking suspicion that a love of Ireland wasn’t entirely the motivation for all the partying, but still, I couldn’t help but feel smugly validated in my Irishness. In the 20-plus years since I arrived, much has changed. My husband, Tom, and I have become Americans and are busy raising our three American children. Our pub days have dwindled. Mulvaney’s, Kate’s and Scruffy’s have been replaced by Lizzie’s and The Celt. While there was a time when I felt I knew every Irish person in Orlando, I can’t say that today. If someone’s in trouble, though, we rally around. Orlando’s Irish have a Consul in Orlando now, as well as an Irish-American Chamber of Commerce. We have become a larger and more-distant, but better-connected group. Though I never did ascribe to the shot thing, the cultural differences seem less now — in fact, I’m as likely to be pulled up for them in Cork as in Orlando. I certainly don’t balk at raising a green beer on St. Patrick’s Day, though a pint of the black stuff is my preference. I love that my native country, for whatever reason, is the focus of major celebrations on March 17 every year. 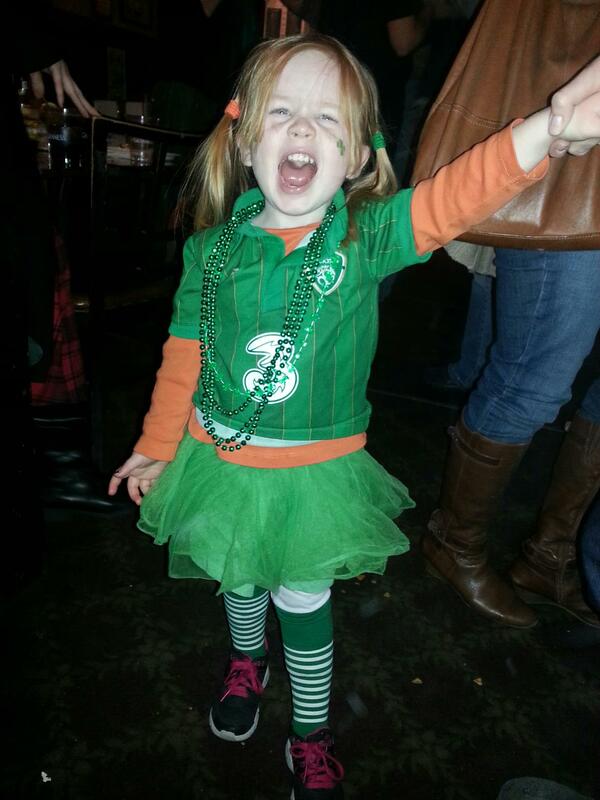 My children get to revel in their Irish heritage, while also appreciating their bountiful American lives. My father visits us in Orlando often. He looks at the life we have built, and he says that our bravery has been rewarded. I tend to agree. Cathy Tobin of Orlando has been a Montessori teacher since 1994 and is working on a graduate degree in educational leadership.